Deepika Padukone took a year-long sabbatical after her last release Padmaavat. The actress then wanted to focus on her wedding and the news of her signing Meghna Gulzar's next was announced only in October 2017. The story that revolves around acid attack survivor, Laxmi Aggarwal, will see DP essaying the role of 'Malti'. Titled Chhapaak, the movie also stars Lootera fame actor Vikrant Massey. Earlier today, the makers revealed the actress' first look from her next big outing where she looked strikingly similar to Laxmi. The still had winner written all over it and we can't wait for the movie to hit the screens on January 10, 2020. Chhapaak First Look Out! Deepika Padukone's 'Malti' Will Give You Another Reason to Adore and Respect Her - View Pic. 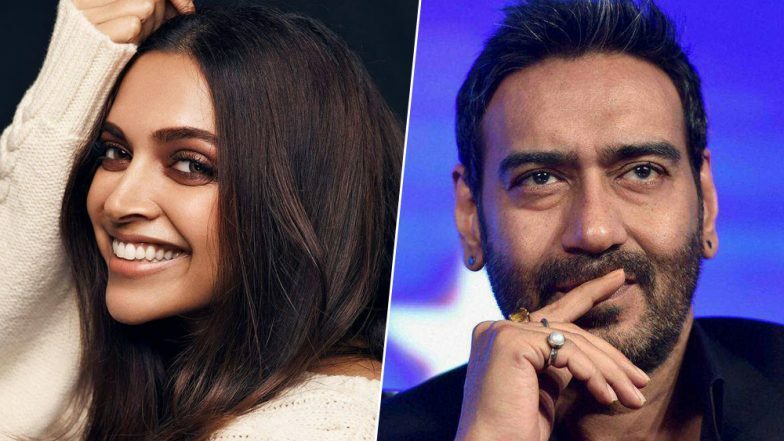 Yes, that's the release date of Deepika's next and she'll be locking horns with Ajay Devgn at the box office. The Total Dhamaal actor took to his Twitter account yesterday to announce a new release date of his historical drama, Tanhaji: The Unsung Warrior. The movie narrates the story of a brave military leader in the Maratha Empire and it also stars Saif Ali Khan as an antagonist. It would be interesting to see these superstars fight for box office numbers and we wonder if it will be a nail-biting match. Kartik Aaryan's Pai Patni Aur Woh Remake Avoids Clash with Ajay Devgn's Tanhaji, But Will Lock Horns With Arjun Kapoor's Panipat on December 6, 2019. Start the 2020 new year with me, as Tanhaji releases on Jan 10. Deepika also turns producer with Chhapaak and she'll co-produce it with Fox Star Studios. Meanwhile, Ajay is jointly producing Tanhaji with T Series head honcho, Bhushan Kumar.